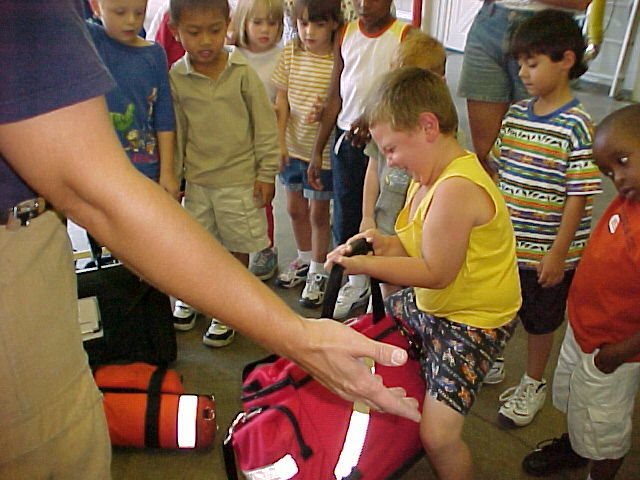 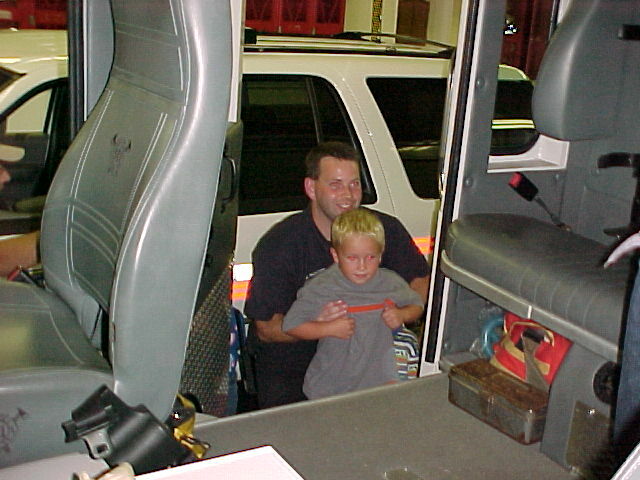 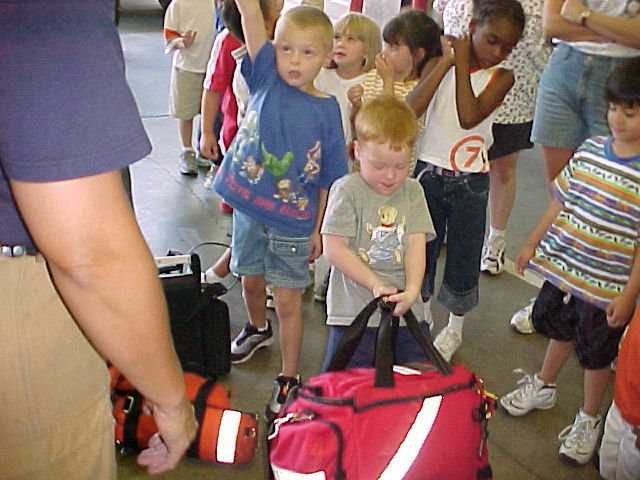 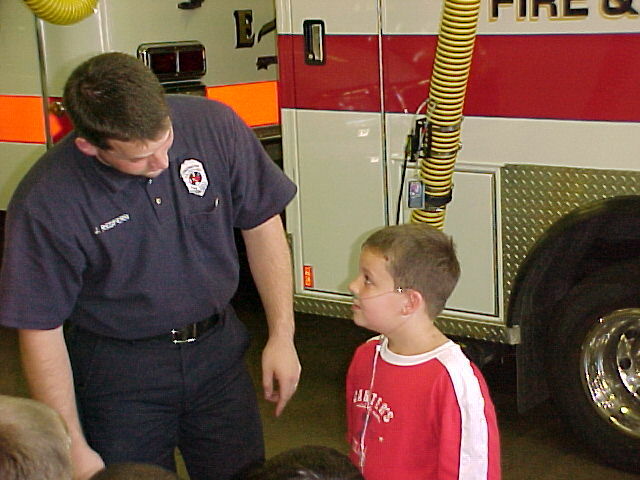 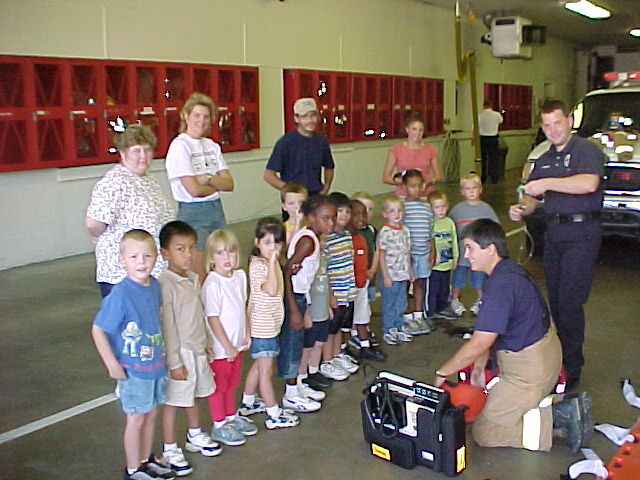 Ms. Ross and Ms. Deaton's Class visited Station 1 Fire Department at 315 West Second Street on September 6, 2002. 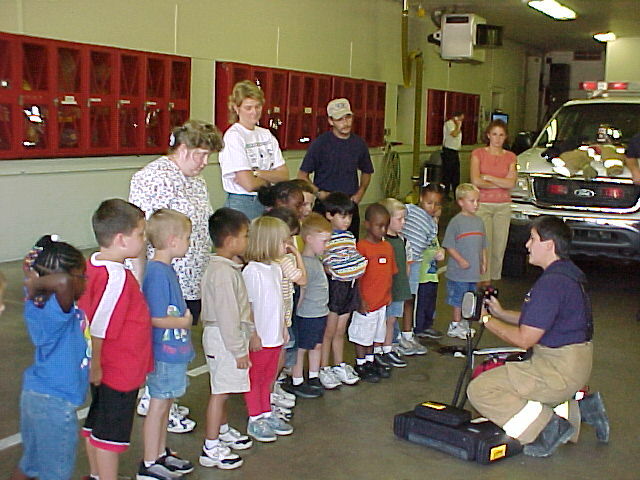 These kids are from Second Street School's Kindergarten class. 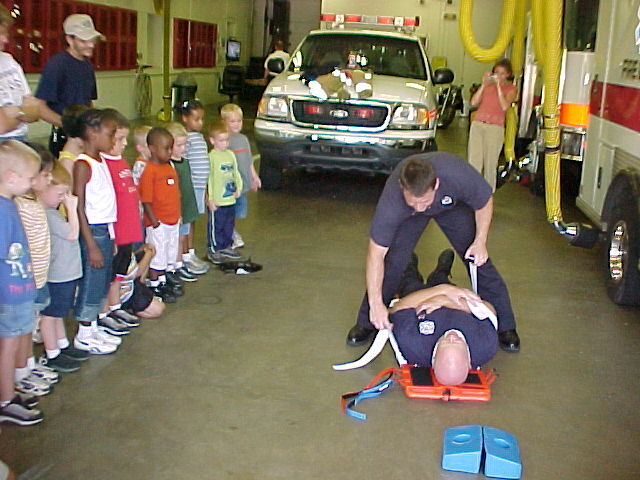 The two Local 1017 members giving the tour presentation are Firefighter John Redfern and Firefighter/Medic Dee Wooley. 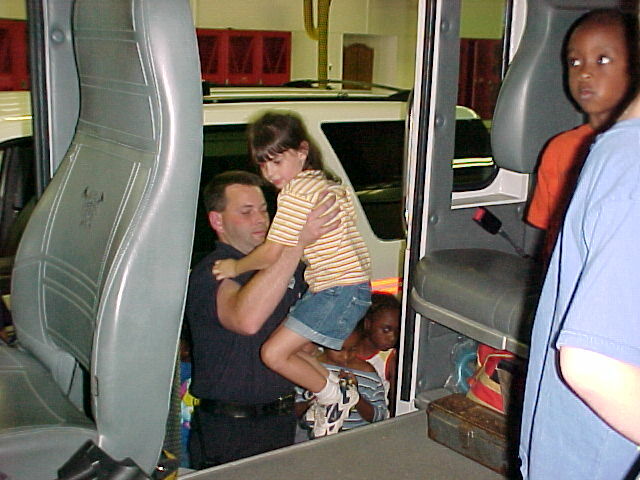 Click on the pictures below to enlarge.